These two releases are stretching the definition of “new”, but my apathy for them caused less excitement than I’d hoped when it came to reviewing them. Aren’t you excited to read about these cereals now? Although in my defense, the boxes currently on store shelves still say “NEW!”, so that’s good enough for me. The new additions both share a promising theme: cinnamon. In case you are unaware, cinnamon is awesome. It also has a fairly successful track record as a main cereal ingredient – Cinnamon Toast Crunch, Cinnamon Life, Cinnamon Burst Cheerios, Cinnamon Chex, and some others. Apple Cinnamon Cheerios is not on that list, however. They are terrible. 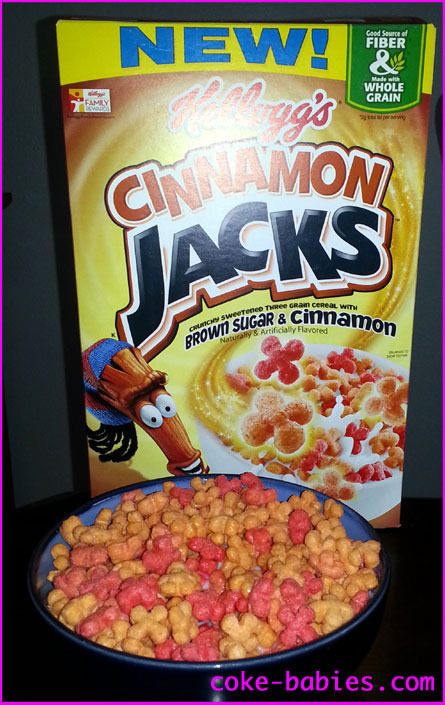 Speaking of apples (and cinnamon) – Cinnamon Jacks are the new offshoot of the Apple Jacks brand. Apple Jacks are a reliable cereal that, if you are like me, you almost never buy. I do this with some cereals – on the shelf, they are just not appealing. Not unappealing, I look at them and know I enjoy them, I just have no desire to buy them. The biggest victim of this logic is Honey Nut Cheerios. 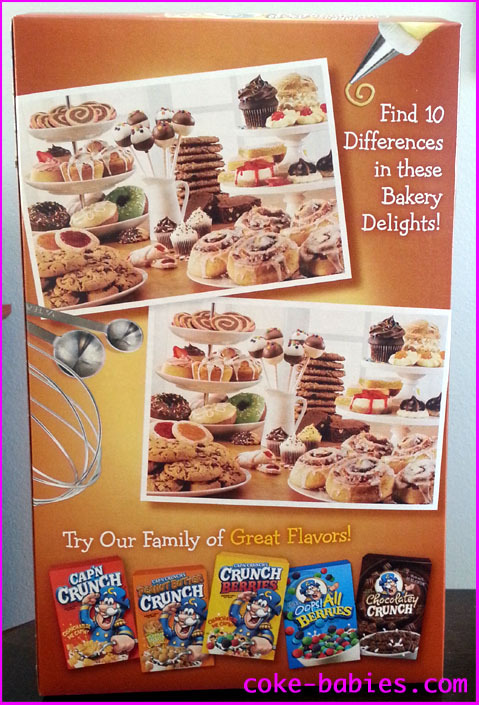 If I happen to buy a box, I’m almost sad – like I’m giving up on picking a superior choice. When it’s in the cabinet at home, I’m sad when I look at it. But then when it’s in the bowl and I’m eating it – happiness. Despite the fact that I know I really like them, this pattern repeats ad nauseum. Apple Jacks are halfway between that status and “oh yeah, that cereal exists” status. It’s not a heavy hitter in the cereal world anymore, but it’s a reliable choice. Also, its resulting milk is great. I had high hopes that the Jacks family had good cereal genes. I was a bit worried when I saw it was “brown sugar and cinnamon” flavored. Brown sugar-flavored things can go awry, quickly. But what was more concerning was their mascot. I don’t know where cinnamon is primarily grown, so maybe this ties in, but I don’t get why the mascot looks like a uni-browed drug dealer. I am almost positive I saw this guy at the 311 concert at Red Rocks. OH MY GOD HE HAS AN EYEBROW RING! This cereal is less and less promising. And yup, I was right – he’s a drug dealer. The back of the box even talks about how the cereal is “dusted”. Also, look at his Apple Jack relative – the guy is tweaking hard. The cereal shape is sad, but appropriate. It almost looks like jacks, in a lazy way. It looks like a licensed cereal that couldn’t be bothered to think of a shape. More alarming than the shape is the taste. It has that weird “packaged food cinnamon” taste that has been popping up lately. While Cinnamon Toast Crunch probably isn’t the most natural food in the world, it actually does taste like cinnamon. 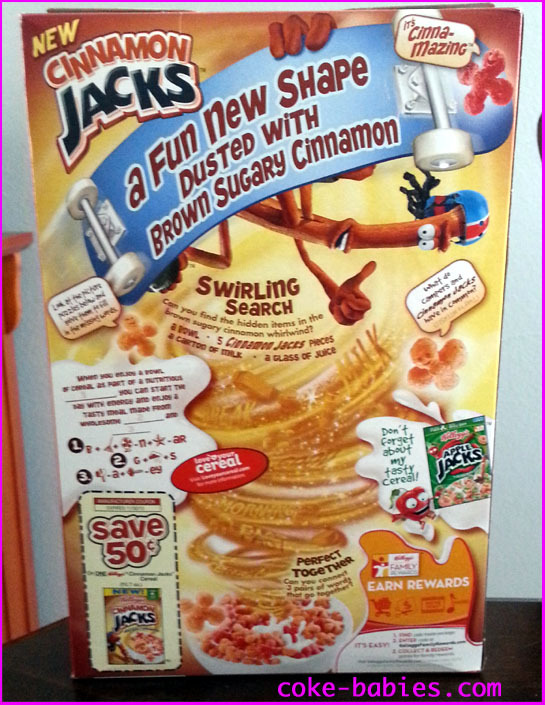 Cinnamon Jacks tastes like “cinnamon” – as in, in quotation marks. 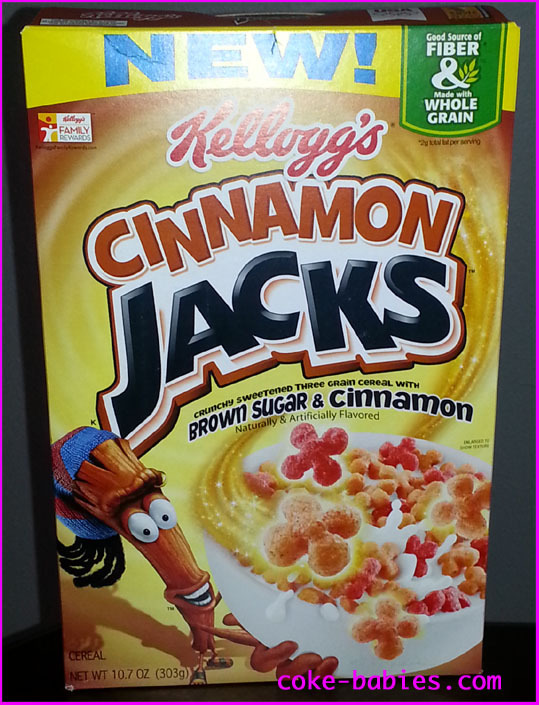 Unlike Apple Jacks, which tastes like sugar and cinnamon and apple, all this has is brown sugar and “cinnamon”. The novelty of that flavor wears off very quickly. It’s not a bad bowlful of cereal, it’s just very mediocre and by the bottom of the bowl, you’re sort of glad it’s over. The milk, however, was pretty good. I was very conflicted going into Cap’n Crunch’s Cinnamon Roll Crunch. Cinnamon Roll as a flavor seems like an excuse to just load up on sweetness. 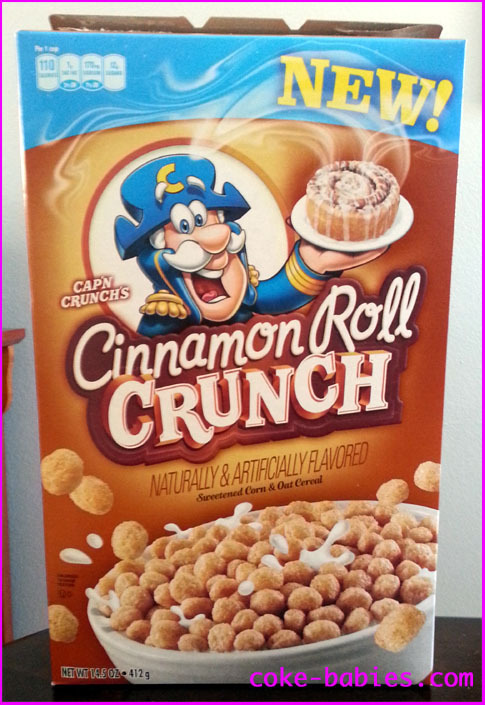 On the plus side, I usually like the Cap’n spinoffs better than the original cereal. Crunch Berries, Chocolatey Crunch, even Oops! All Berries are all preferable to the original. The only one I rank below is Peanut Butter Crunch. This has nothing to do with the flavor, which is actually really good. I just have to penalize it for hurting my teeth with every bite of the impenetrable little cannon balls. The box design goes with the thrilling “shades of beige” theme. Although for some reason I genuinely love the steam effect at the top. Unless that’s just left over from Cinnamon Jack’s stash. Dammit, more “cinnamon” flavor. Like Cinnamon Jacks, it’s not bad, it’s just tiring. It’s not even very sweet, which I was shocked by. But the fake cinnamon is off-putting in large quantities, so by the end, I felt like accomplished some impressive feat. On the plus side, the texture is more like Crunch Berries, and less like the peanut butter cannon balls. Like Cinnamon Jacks, despite the mediocrity of the cereal itself, the milk wound up being good. It diluted a lot of the fakeness of the cinnamon, which helped a lot. 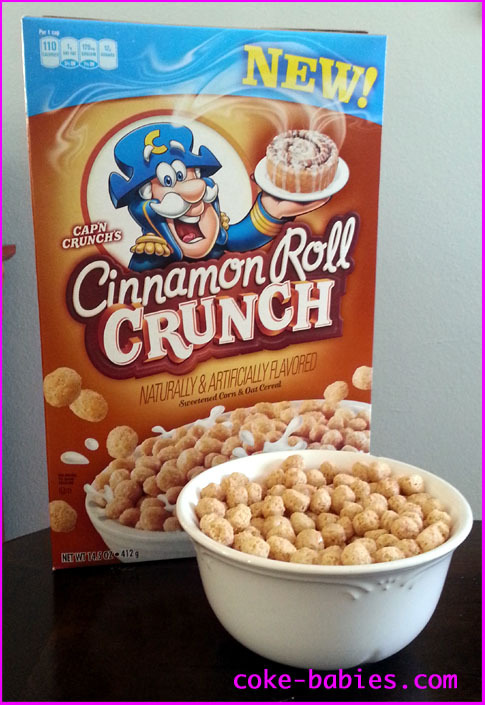 If they release Cap’n Crunch’s Milk From Cinnamon Roll Crunch-Flavored Crunch, I’d definitely buy a box. Speaking of artificial, I wouldn’t have minded a small boost in the artificial coloring department. The cereal is this really sad, pale beige. In the white bowl, it just looks depressing, like something Oliver would get to eat on a special occasion. Fun Fact: Every single time I had to write the word Cap’n, despite knowing where the apostrophe goes, it came out of my fingers as Capn’ and I had to go back and fix it. Including that time. 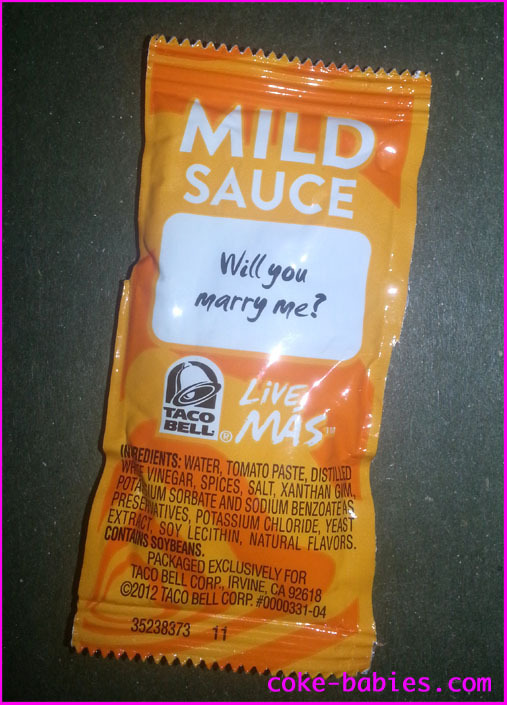 Given all the unique ways people propose to other people, having this as one of the default messages on Taco Bell’s sauce packets is a pretty risky game. So this is either some drama waiting to happen, some very advanced trolling by Taco Bell, or both.